Machinefabriek, the project of Dutch composer Rutger Zuydervelt, has a new album arriving in the new year called With Voices. A prolific musician, recording and performing with a multitude of other performers for nearly two decades, Zuydervelt’s upcoming record also sees him collaborating with a slew of artists, including Richard Youngs, Peter Broderick, Marissa Nadler, Chantal Acda and Terence Hannum (of Locrian) amongst others. “True to the album’s name”, describes the press release, “the eight pieces demonstrate Zuydervelt’s user of cassette recorders, tone generators, radios, synths, and other hifi curio to construct aural architecture around the singular vocal work from the album’s guests”. On With Voices, “there is an alchemical, metallurgical quality that arises from Zuydervelt’s unique way of merging humanness with abstraction, harshness with beauty, and unintelligibility with familiarity”. 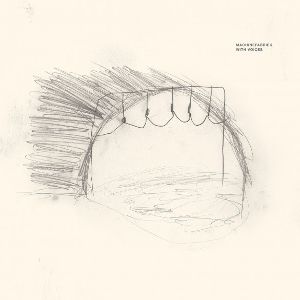 All the tracks on the album are titled with Roman numerals, and Machinefabriek has shared ‘III’, a collaboration with Peter Broderick, as the first enticing taste. Give it a listen now and grab the album when it drops on January 18th through Western Vinyl. This post was tagged Machinefabriek, Peter Broderick.